Photo courtesy of the CFV website. The Butler Interfaith Council, a group of students who possess diverse beliefs and spiritual backgrounds, is one of the many limbs of the Center for Faith and Vocation. Their mission is to “promote interfaith dialogue and inclusion within the Butler and Indianapolis community,” according to their website. Daniel Meyers, director of the CFV, has been involved with the council since it was created during his first year working at Butler in 2015. Prior to Meyers’ arrival on campus, there were no organizations similar to the Interfaith Council, but he and some interested students were able to jumpstart the beginnings of it. There are 14 faiths represented on Butler’s campus. Meyers said he wanted the council to reflect this diversity rather than the disproportionate amount of one faith over another. This way, the council represents students of Protestant, Catholic, Muslim, Jewish, Hindu, Sikh, atheist, Buddhist, and agnostic faiths, along with others. When creating the council, Meyers said he had three main goals in mind. “One is to establish an interfaith community, another is to grow the religious literacy, and the third is to engender or encourage interfaith leadership.” Meyers said. Meyers said students in the council are hoping more than ever to engage in difficult and uncomfortable conversations. Lauren Carrier, a first-year economics major, said she saw benefits to being a council member after just one semester. Along with its assistance in fostering respectful yet important interfaith conversations, the council also gets the Butler community involved by hosting a service event each semester. While Butler may often suffer critiques for a lack of diversity, the Interfaith Council and CFV stress that there are actually a large number of religions represented on campus, and the struggle lies within the visibility of those groups. 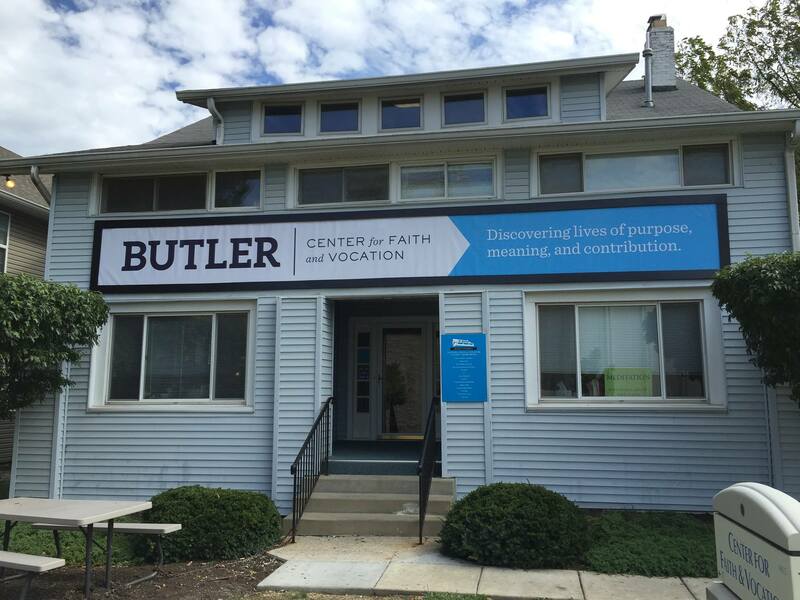 If you want to find out more about the Interfaith Council or the Center for Faith and Vocation, visit their page on Butler’s website: https://www.butler.edu/cfv.